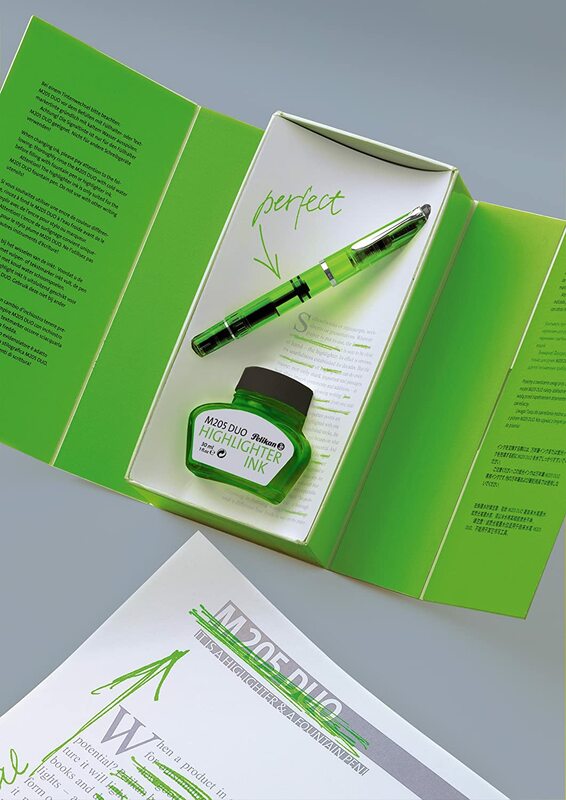 Pelikan seems to be very excited about their clear green M205 and 2014 Garnet Edelstein ink, with good reason--the fountain pen is beautiful and doesn't look like a highlighter, unlike the yellow one (which I love, btw!). The garnet ink looks...drinkable, really, kind of Elizabeth Bathory if that's not too macabre. And a cool green notebook, free for getting together with other Pelikan fans, is my idea of a great night. Go sign up, and for those in NYC let's try to meet up for guns and frames...uhhh...fun and games. I Still Write is turning one on December 25 ,2012, and to celebrate he's having a giveaway Two, in fact: a correspondence set from Original Crown Mill and some very nice large note cards (deckle--cool he knows the word, always wondered). Check out the other posts, and leave a comment to enter. Many thanks to OfficeMax for sending me some of their TUL pens to try out and review. These were a pleasant surprise, as I don't get to OfficeMax very much and have been wondering about them. The first up for review is this TUL GL3 Retractable Gel Pen with a medium (0.7mm) tip. There are 0.5mm and needlepoint versions as well, both of which interest me, but for now I'll settle for this medium with blue ink. I like this pen. The barrel seemed to wide at first, but as I wrote I found my hand adjusting to its width and the slightly longer length. The marketing materials note that the smooth ink flow gets rid of skipping, and it certainly does. This is one of the best ink flows I've seen in a gel pen, and my only observation would be that it flows just a little too freely. The ink was definitely wet for a few more seconds than would be good for a left-handed writer, but that may be a function of the medium nib rather than the ink. A needle-point would be fine, with the tip not allowing as much ink flow. With that much ink flow, I was pleased that there was no bleed through on the paper--a Rhodia No. 16 notepad with 80gsm paper. The shadowing wasn't too bad, but if that's an issue for you (as it sometimes is with me) then double-sided writing will be a problem. The pen parts are standard issue, and likely you can find other refills to fit if you have one you particularly love to use. I do like the way this feels, the rubber grip has just a touch of give to it so I'm not chafing my finger when I clamp down. All in all, this is a great pen and is now in my daily rotation at work. If you're by an OfficeMax and looking for something to add to your collection, give the TUL retractable a try. Found these interesting Fabriano EcoQua notebooks at an art supply store near Fashion Institute of Technology, and had to try them out. There were several sizes, but the A5 is my favorite as it fits neatly in my book bag. It also has enough space for working out knitting patterns or whatever else is on my mind. The cover is a heavy scratch-resistant stock, 290 gsm ecological paper. I'm interested to see how well it holds up in daily use. I really liked the pale ivory-colored dot-pad paper, 85gsm so it's fountain pen friendly while the dots don't distract me the way lines/grids can. But what I really liked was the way this notepad is set up inside the cover. 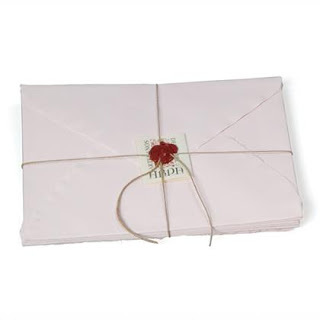 The front cover opens and folds over to reveal a side-glued pad, an easy way to tear out sheets as you use them. Here's a side view of the Fabriano, and I have to say I'm really liking this idea. Sometimes perforated paper gets stuck, or rips, but glued notepads are ideal for that. 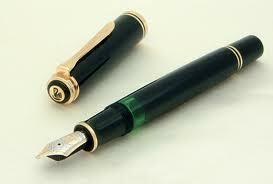 No bleed through with either gel ink or fountain pens, making this great for double sided writing. The paper is 100% TCF (Totally Chlorine Free), acid free with alkaline reserve for a long life, and is made from forests managed according to strict environmental standards. Green, attractive, and inexpensive ($4.99), there are 8 colors and two sizes (A4 and A5) to choose from. November 2nd is the first celebration of Fountain Pen Day, page down to see the discount codes available. Some of my favorites? Monteverde's Invincia Color Fusion,Waterman's Agnes B. Hemisphere, Namiki's Custom 823 Clear Demonstrator, Levenger's True Writer Golden Tortoise, and Jack Labusch's review of the Jinhao Evening Stripes. I'm still digging out from Sandy, the power is expected to come back Saturday night by 11 pm. We'll see, but so far it's been...an adventure. Guest Post: Life's Too Short to Drink Cheap Wine! I'm so pleased to welcome Dinitro as a guest blogger on Pocket Blonde, to post what I hope will be his first of many observations on wine, Life's Too Short to Drink Cheap Wine! Dinitro has been blogging about wine for some time, but took a break to do something frivolous, like attend to his business and silly things like that. I hope you'll give him a big welcome in the comments section, and don't hesitate to talk wine or ask questions.